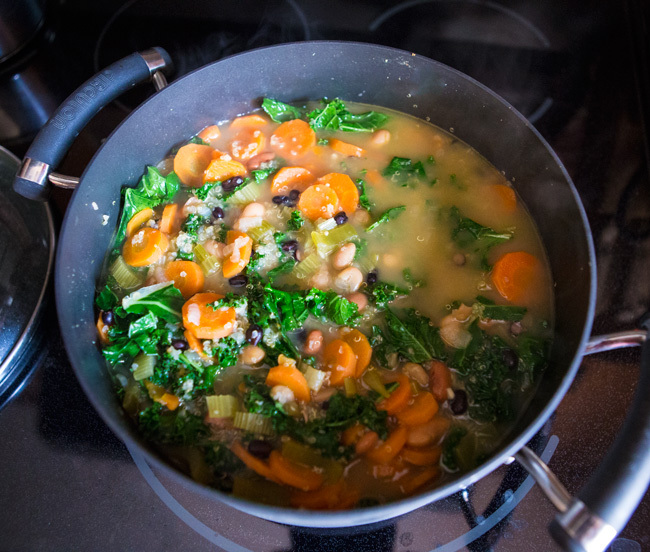 Pin now and make later- bean and kale soup recipe. Every once in a while I wake up with a very specific idea of what I want to eat that day and I am psyched when I throw it all together and it comes out just as I had imagined. This soup was one such example. It's still pretty chilly up north so I wanted a soup to warm me up, but I didn't want it as hearty as my go-to lentil soup. I threw the following ingredients together and it was a success. C'mon, warm weather! Sautee the onion, celery, carrots and garlic in coconut oil (don't worry, you won't even taste the coconut). 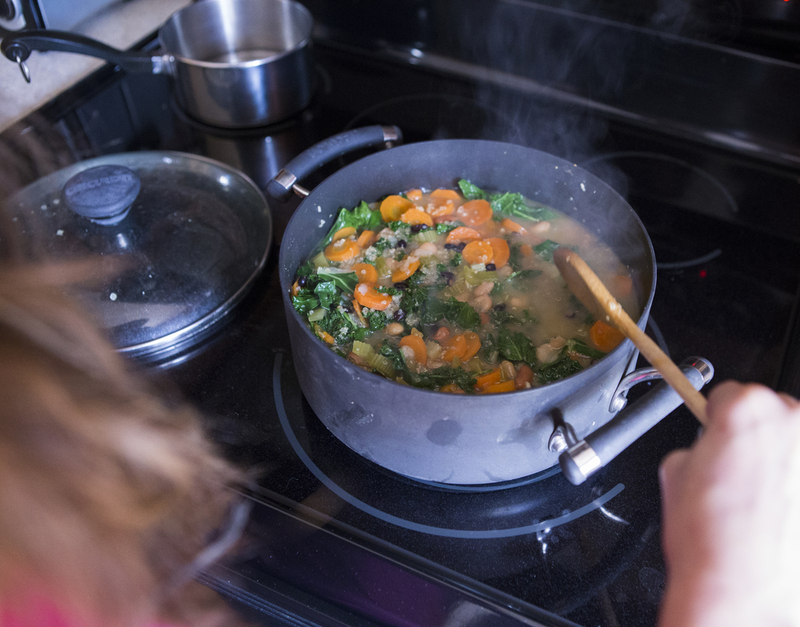 When the onions are clear, add water and bouillon, and all ingredients except kale and bring to a boil, then turn the heat to low to simmer for 20 minutes. Then, add the kale and simmer for 10 more minutes. Eat and enjoy. PS- I am trying to put together a vinyasa flow and yoga nidra workshop this weekend in northwestern Connecticut: Saturday, April 27th if you're interested in joining. Proceeds will go to The One Fund to help people most affected by the Boston Marathon bombings. Location to be determined soon!